화양동 남쪽에 있는 낙영산과 성암부락 동쪽에 있는 도명산 중턱을 둘러싼 성터로 ‘도명산성’이라고도 한다. 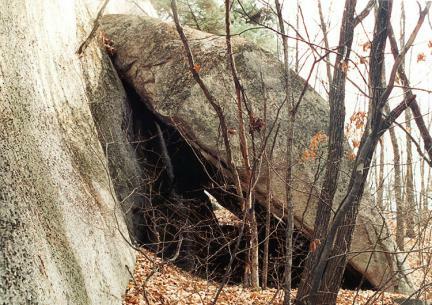 지금은 무너져 본래의 모습을 확인하기 어렵지만, 현재 남아있는 벽은 길이 700m에 높이가 약 2m이다. 성 안에서 신라 토기조각과 고려 전기의 기와조각이 발견되었다. 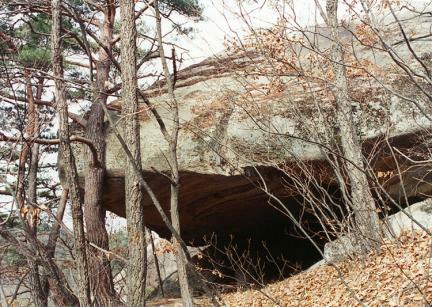 또 건물터를 중심으로 도기조각, 자기조각, 돌로 만든 절구, 숫돌이 발견되었는데, 유물들의 성격으로 보아 고려시대 때 쌓은 성으로 보인다. 이 성은 4가지 공법을 사용하여 쌓은 점이 특징이다. 현재는 중심성과 바깥성의 성벽이 부분적으로 남아 있다. 성안의 정상부근 바위에 도명산 마애불이 음각되어 있고 문터, 건물터 8곳, 성 안팎으로 물을 통과시키는 장치인 수문터, 우물터 4곳이 남아 있어 매우 중요한 유적이다. 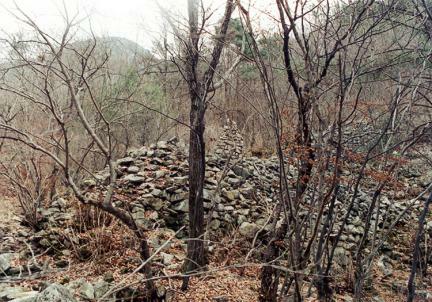 These are the remains of a fortress surrounding the mid-slope of Domyeongsan Mountain, which is 3km east of Nagyeongsan Mountain and Seongam Village and 2km south of Hwayang-dong. 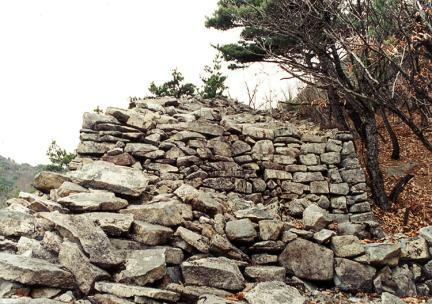 This fortress was once called “Domyeongsanseong Fortress.” Since the fortress has completely caved in, there is no way of knowing its original shape. 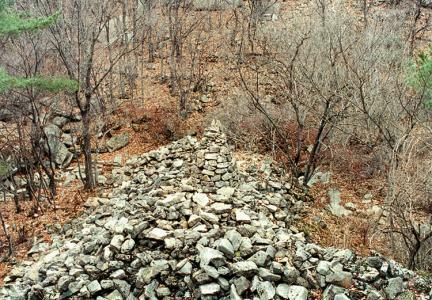 With all the historic evidences that have been found with regard to the fortress, we could assume that the stone wall of the fortress was nearly 700m long and 2m tall. 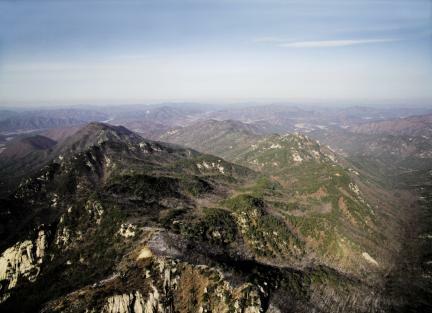 Fragments of earthenware from the Silla Dynasty and broken roof tiles from the Goryeo Dynasty have been found here. 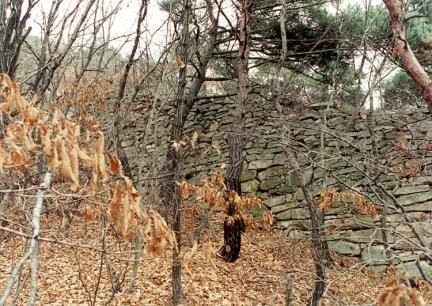 Broken porcelain and earthenware, stone mortar, and grindstone have also been excavated here. 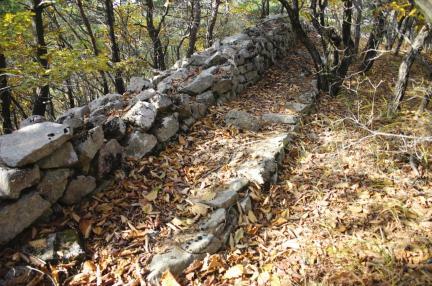 With all these excavations, the fortress was believed to have been built during the Goryeo Dynasty. 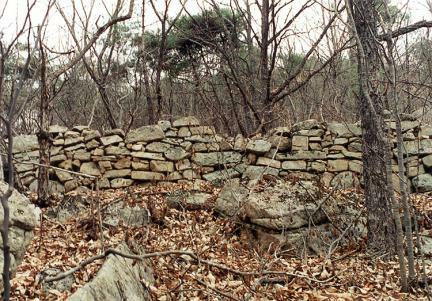 The center and outside parts of the fortress have been partially preserved. 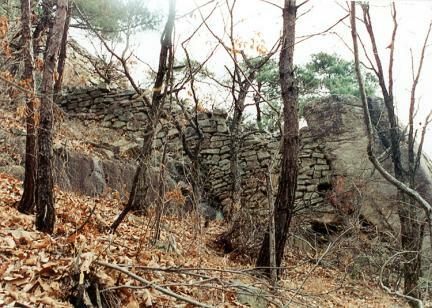 The fortress is unique since it was originally built by four different construction methods. 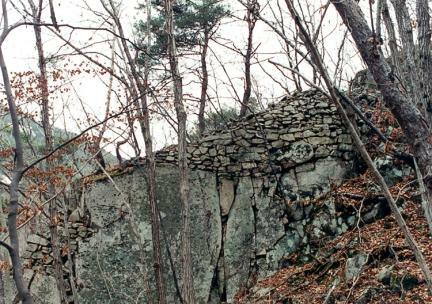 On the rock at the highest point within the fortress is a rock-carved Buddha. 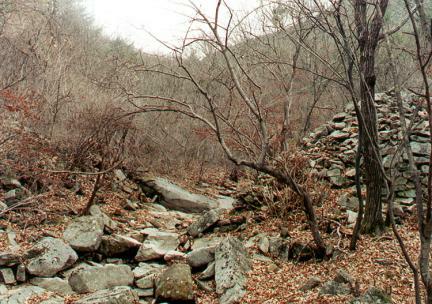 There are also the remains of an old gate, eight buildings, four wells, and the ancient remains of a floodgate used to make water flow into the fortress.